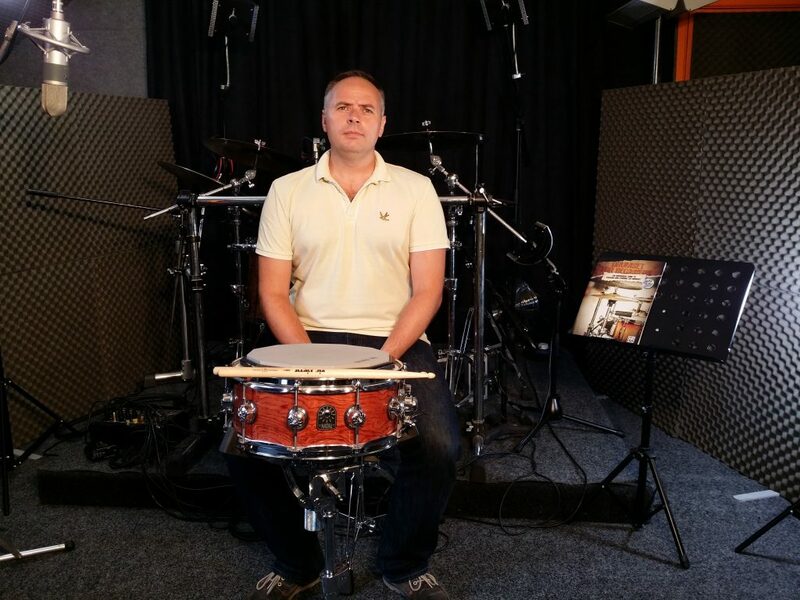 Whether you’re picking up the sticks for the first time, wanting to master your instrument, find out what level you're at or earn a globally recognised qualification that has true valuable whether you're in Sheffield or Shanghai, Paul Hose offers courses that suit your needs. I welcome anyone who wants to learn. Young or young at heart, beginner or professional. The lessons will be fun, challenging and rewarding. Paul has developed a range of lessons, products and courses that are available to everyone, regardless of age or ability. Drumset For Beginners is a new innovative method that is both a practical approach to playing the drumset and the starting point for the understanding of style and genre. Students start their first lesson by playing a basic hook beat, but then quickly progress to fills, syncopation, swing and shuffle, before examining the essential ingredients for all the main styles every professional drummer needs to understand. Each chapter includes unique follow-on publication advice, so students who have a particular interest in a style can further their development. Coming Soon - Drumset For Beginners Companion Course. A Group Workshop or Clinic hosted by Paul Hose is an opportunity for liked minded musicians of all abilities to get together to discuss drums, drummers and drumming! These events are usually with a small-to-medium sized audience. Paul welcomes questions and encourages everyone to take part. Typically Paul would perform an entire piece of music, or demonstrate certain techniques for the audience to observe and in turn discuss. The objective is for everyone involved to learn from the event and to feel inspired. The workshop/clinic can apply to any level player and can be held at your school or music shop. Lessons with Paul are informative and interactive. Technology plays an important role in Paul's teaching practice as all of the lessons are filmed and archived for you to review during your practice time. Lessons are tailored to suit your needs and cover a wide variety of musical styles. Your time studying a Paul Hose course can earn you globally recognised qualifications. Paul offers both syllabi from esteemed colleges Trinity College and RSL Awards. A music graded exam will prove your ability, improve your playing, expand your knowledge – and earn an internationally recognised qualification whilst playing the instrument you love. Learn all the technique you'll need to cut it in any session or on any stage in the world of rock, pop, jazz, Latin, funk and more. Performance Diplomas are the ideal next step for Grade 8 musicians wanting to begin a career in performing teaching. The Level 4 and 6 Diplomas are fully accredited qualifications: pass your exam by performing a mix of repertoire, preparing a promotional portfolio and answering questions on business and performance practice.